2018 Financial Goals. Write down your goals & deconstruct your path right down to daily tasks. Don't let your feelings get in the way. Jack Butala: Welcome to the Jack Jill show, entertaining real estate investment advice. I’m Jack Butala. 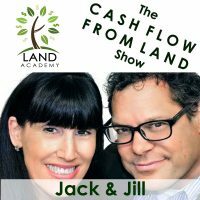 Jack Butala: Today Jill and I talk about your 2018 financial goals. Actually, we’re going to talk about ours. Jill DeWit: Let’s see, what do I want in 2018? Jack Butala: And then we’re going to see if … what yours are. And how we actually calculate … How I literally every year calculate what our goals are and how we accomplish it. Jill DeWit: What’s missing from my life? Jack Butala: What is missing from your life, Jill? I would like to know the answer to that. Jill DeWit: Let me see now. 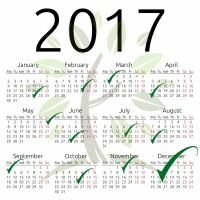 What are my 2018 goals? Jack Butala: As my business partner and life partner, how can I help your life be better? Why is that funny? Jill DeWit: It is not money related. Jack Butala: What is it? Answer the question. Jill DeWit: That’s the reality. Oh, answer the question [Clare 00:00:54], here it comes. No. Jack Butala: No? You’re not going to answer it? Jill DeWit: No. Well, let me think here. What could … Jack, I got nothing. Jill DeWit: I mean, I know it’s silly. I’m really trying to think and I … because I don’t want to make up something stupid. Jack Butala: Oh, okay. Well, if you have nothing, you have nothing. Jill DeWit: I’m trying to really think. I mean, we all wish we were perfect and worked out the right number of days, and ate the right way and, whatever. It’s silly. No, seriously. You think I’m kidding? Jack Butala: Well, that has nothing to do with me. Jill DeWit: Oh, yeah. Because you are perfect. Jack Butala: No. Working out has nothing to do with me. And I’m not perfect. I’ve never even said that. Ever. Jill DeWit: I don’t know. I’m going to have to think about that and get back to you. Thank goodness it’s not the 31st yet. I have a few more days to decide. So can I get back to you on that? Jack Butala: Yeah, sure. Heck, yes. Jill DeWit: Okay, good. All right. Thank you. Jack Butala: Hey, before we get into the actual call and topic, let’s take a question posted by one of our members on the jackjill.com online community, it’s free. Jack Butala: Gotta be Milwaukee. Jill DeWit: I love it. “And I started investing in rental properties earlier this year. My business partner and I closed six multi-family deals since February, all of which are in North Carolina. I recently learned about Land Academy and signed up for the Silver Membership yesterday. After listening to the majority of the podcasts and hearing the testimonials, I’m beginning to think we’ve been wasting our time and money with apartments.” Aw. Jack Butala: I wasn’t going to say anything. Jack Butala: That’s what this show’s about. Jill DeWit: “I know it’s an ambitious goal but I feel like it’s an achievable stretch. I love analyzing data, working deals and drinking bourbon, but never in conjunction with one another.” That’s awesome. “I look forward to our discussions in the forum. Cheers, Joe.” Cool. Jill DeWit: Are all valuable, valuable ways to spend your time. Sorry. Jack Butala: If he had anything to do with motor oil, those are my hobbies. Jill DeWit: Oh, something missing? Throw a motorcycle in there. Jack Butala: Those are my hobbies. Jill DeWit: Got it. Drinking scotch, though. You’re the scotch. I will do a mint julep, though. Jack Butala: Joe, your question is timely and it’s exactly what today’s topic is. Today’s topic, 2018 Financial Goals. How we calculate ours, and food for thought for you. This is the actual meat of the show. Jack Butala: So, I ask myself two very simple questions. Jill DeWit: Why am I wearing this? Just kidding. I’m sorry. I couldn’t help it. I’m kinda punchy today. Jack Butala: Are you really heterosexual? Jill DeWit: Ha. You have to … why can’t I feel my feet? Jill DeWit: I don’t know. Every time I wake up … where did I leave my car? Just kidding. I’m sorry. Why am I dressed this way? Jack Butala: Oh my god, Jill. Where does this stuff come from? Jill DeWit: I don’t know. Sorry. Jack Butala: Why can’t you feel your feet? Jill DeWit: I don’t know. It happens sometimes. Jack Butala: What’s my real hair color? Jill DeWit: [inaudible 00:04:52] Good, do me, do me. [inaudible 00:04:57] That’s right. Jill DeWit: Go ahead. It’s good. Bring it. You got more. Come on. Jack Butala: Jill’s been going through a thing right now lately. I just don’t … my car’s not good enough. She just has to have a better car all the time. It’s just so silly. Jill DeWit: Because every guy who drives by me who’s 60 says, “Nice car,” and that’s not what you want to hear. Jack Butala: Why can’t I feel my feet? Is that you or me? I just can’t get that settled. Can’t you ever feel your feet at times? Jill DeWit: I can feel my feet. Jack Butala: Are you referring to me? Jack Butala: I can always feel my feet. Jill DeWit: I’m just kidding. I don’t know. It just … I don’t know. Jack Butala: Here’s the two questions I ask myself whenever we’re going into anything like buying a new company, or starting a new company. What do I want to happen twelve months from now? How much money from a balance sheet standpoint do I want to accumulate? How much equity? And I put … I write the number down. I’m going to use this as an example. Let’s just say it’s a million bucks. And then I say, “If it’s for real estate, what is the maximum acceptable, the minimum acceptable number for which I will work on a deal?” Meaning, if I’m going to buy this house I need to be able to … all the stuff and people and whatever’s involved … I need to make ten thousand bucks on this flip. Really fast. So I take those two numbers. Those are the only two numbers you need. I want a million bucks a year, in 12 months, and I only work on deals before I make $10 grand. You divide the number by 12, which is $83 grand … the million dollar number … and you also divide flooring for the amount of money that you’re willing to make, and long story short, you need to do eight deals a month. Or two deals a week. Jill DeWit: That doesn’t sound hard. Jack Butala: It doesn’t sound hard at … we do a lot more than that, let me tell you. Jill DeWit: Are you okay with that? Jack Butala: So in this case, the numbers come out like, are you okay with having half a million bucks in the bank at the end, end of the year, and doing one deal a week? One deal a week. Making $10 grand. If you flip a house wholesale in Southern California you make $100 grand. So I’m intentionally trying to be conservative about these numbers. That’s my point. “Oh well, Jack, you make it sound so easy.” Well, it is easy. Jill DeWit: Well, do the math yourself or not. We’re not making this up. Jack Butala: Not 98%. What I mean is, you’re nine times more likely to accomplish your goals is what I mean. Yeah, so that’s exactly my next point, Jill, you nailed it. What’s it going to take, then, to accomplish this stuff? And here’s my short answer. Jill’s going to give me a long answer in a second. Jack Butala: Here’s what it takes. Whatever it takes. Short of breaking the law, or breaking your partner’s heart, or whatever, or being absent in your children’s lives, you’re going to do whatever it takes to put a million bucks in the bank. I’m not here to be Tony Robbins to give you a motivational speech, it’s just simple math. If you do a deal, one deal a week, and you net $20 grand, more likely with houses than land, you’re going to have a million dollars in the bank by the time it’s over. Or you’re going to generate a million dollars worth of equity. And this is assuming you keep your job and you don’t use your money for expenses, it assumes a lot of stuff. Again, “Well great, Jack, you make it sound easy.” You have to have the right system in place before you start. Jill DeWit: That’s where you have to back it up and go, “All right, now how many deals do I have to go through, going through the system at a time, how many mailers do I have to send out, what kind of people do I need to do a deal, two deals a week kind of thing. Or one deal … maybe your number is $20 thousand and you’re only doing one deal a week. And you’re making $20 thousand. That’s not crazy too. And you have to really get down and work that. And then, it’s like Jack said, things are going to happen. We all know that stuff, life gets in the way sometimes, and you have to account for those. So what if you end with $850 thousand dollars? You didn’t fail. Jack Butala: So if you’re brand new, you don’t know this yet. There’s something going to happen that you can’t stand. I can’t stand answering the phone. So we hire somebody. We have full time staff who does it now, but if you’re new, hire a company like PATlive to answer your phone. And so every Saturday you instruct them to give you all the calls back on the mailers you sent out so that you can call the ones back personally that are interested in selling. You don’t have to go through all the malarkey. Costs $150 bucks a month at the end of the day. Some people can’t stand to do the mailer. They can’t stand to do the mail merge, they’re not interested in learning how, it’s a huge roadblock for them. Well, we own a company called Offers 2 Owners in response to that disgust. It’s not my personal disgust. I love doing it. But if you call Offers 2 Owners they’ll do the mailer for you at a buck a unit. A buck an offer. Jill DeWit: Oh, they’ll pull the data too, for a buck. Jack Butala: If you know what you’re doing, you just provide the stuff, it’s half that price. Jill DeWit: Mm-hmm (affirmative). That’s easy. Jack Butala: What else? What else would stop you from this goal? Besides life events, like children? Jack Butala: Find your motivation. Jill DeWit: Yeah. Money? Make sure you have the funds. Jill DeWit: Ah. That’s pretty good motivation. Jack Butala: That was a huge motivation for me. That’s why I started all this. I couldn’t take my job anymore. Jill DeWit: Do you know what? Here’s what I noticed on that topic. It’s until the first couple deals, I’ve seen people kind of go, “Oh …” They’re hesitant, they’re not sure of themselves until they do a couple deals, and they’re like, “Oh my gosh, I do have this, I’m doing it, I’m working it.” And they’re like, “All right, game on.” So you have to force yourself to get those first couple deals done. I know it, sometimes it’s hard. Pick up the phone, talk to the people, talk to the sellers, talk to the buyers, whatever you’re doing that you need to do, just do it. Don’t hide from it. And you’re going to go, and once you get that money and you see it start growing, it’s … you got this. Jack Butala: Put it in a calendar. Seriously, put it in a calendar. Jill DeWit: Well, you know what I mean. Jill DeWit: It sells. Sorry. I can’t feel my feet. I don’t know where I got that. Jack Butala: I don’t either. I really don’t. Jill DeWit: I really don’t know. Jack Butala: There she goes again. Jack Butala: So if you know they’re … it takes 3,000 letters for houses, if you’re brand new, to close one deal and you want to do eight deals in a month, just keep working the numbers backwards. Backwards and backwards and backwards and backwards until you know exactly what you’re doing, every single day to accomplish it give or take … you have to be flexible. Jill DeWit: Can I tell you a secret too? Jill DeWit: Once you get going on this path, you will find that these are going to come easier and faster. Once you have, let’s just say it’s houses. Once you have this established buyer, you just took that work that you were doing on the front end … you had to do this extra work … that just got removed. And now your deals are coming at you faster the more momentum that you pick up. It just gets easier. That’s just what I’ve found and you find yourself doing less work once you get the ball rolling. Jack Butala: Once your website’s up, you have a buyer so you don’t think about money any longer, all you have to do is shuffle the paper around and shove the deals toward the buyers, because you already know now after doing a couple deals what he wants. Now it’s just mechanical. And now you’re going to go and do it in another market. That’s where we are right now. Expanding our boots on the ground program where we’re just replicating what we do in Arizona and Southern California, everywhere across the country. And it’s happening quickly and it’s extremely profitable. Jill DeWit: Mm-hmm (affirmative) Exactly. Jack Butala: Never have to leave our desks kind of thing. Jack Butala: So just work backwards from those two numbers. Jill DeWit: You just shared it. That’s really valuable. I wanted to on, Jack, that. A lot of people think that you can’t do houses from anywhere. Oh, think again. You can. Jack Butala: Yeah. If you have boots on the ground you can. Jill DeWit: So, thank you, Jack. Jack Butala: Yeah. You’re welcome, Jill. Jack Butala: I hope you get the feeling back in your face now. Jill DeWit: I won’t let you down. Face. I can’t feel my face. No. That’s not what I said. Jack Butala: Well, you’ve done it again, you wasted another 15 minutes listening to the Jack and Jill show. Join us tomorrow, where we discuss the 24-month Millionaire revisited. Jill DeWit: And we answer your questions, should you have one, posted on jackjill.com, our online community. Jack Butala: Cracking me up, you’re killing me. Jill DeWit: I just don’t know where I got that. No, that’s not happened to me or anyone I know. I don’t know … although it’s, I’m sure it’s happened to someone that I know, we just don’t talk about it. Jack Butala: I do know what could make your life any better next year, Jill. Jill DeWit: Oh. I will think about that. Jack Butala: And I want you to be truthful. Jill DeWit: All right. I’ll think about that, I will. Jill DeWit: Yeah. I mean, how much do you really need, I mean? Jack Butala: The kids are good, there’s not … everything’s good. Jill DeWit: This is something that we should about, too, at some point. How much do we all need, by the way, or are we all giving back? Jack Butala: Yeah, I agree. We should revisit that. Jill DeWit: And then paying it forward, you know? I think that’s one of the things that our group’s really good about. There’s a lot of helping and hand-holding and sharing and of resources and money and time. Everybody’s given back a little bit. And you know what? It’s making everybody grow that much more. Jack Butala: It’s amazing, this group. And the feedback that we get. And that’s really why we do this. Why we fight. I’m going to read very quickly, I’m not going to use the person’s name, who has been with us not that long and this is what he says, “Just a quick multi-family update.” This is a guy who signed on to just do land and has no access to any other information, like he doesn’t have the house … it’s not out yet … the house [inaudible 00:16:54] program. He says, “Guys, just a quick multi-family update. On a 881-unit mailer, we focused on duplexes and up.” Meaning duplexes and higher units. “There’s still a few days left in the time period, but here’s …” This will give you a decent idea. “I had one yes, and we passed on the deal because it was a duplex turned into an SFR and there wasn’t enough equity to get out of the deal. Six responses of absolutely no. Three extremely hateful phone calls, and five counter offers. We’re closing on one counter offer, a duplex at 130 grand, we offered 120, it comps at 200.” And then he goes on to say a lot of extra stuff. And then the other counter just came in, ranging from 50% to 70% of value. Jack Butala: I’m sure a few more deals will come out of it. This is a 600-unit, 800-unit mailer. Jack Butala: I would never send an 800-unit mailer. Jill DeWit: I know. But he [crosstalk 00:18:36] criteria, apparently, for that guy and I love it. Jill DeWit: Yep. I love it. Thank you for sharing that, Jack. That was awesome. Hey, share the fun by subscribing [inaudible 00:18:50] wherever you’re listening. And while you’re at it, read us there. We are Jack and Jill.